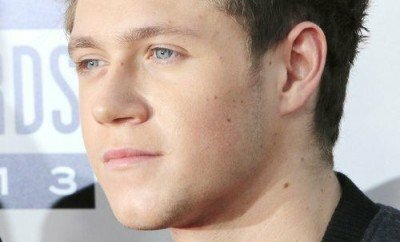 Side parts are amazing; they frame the face and add sharpness to men’s jaw line. 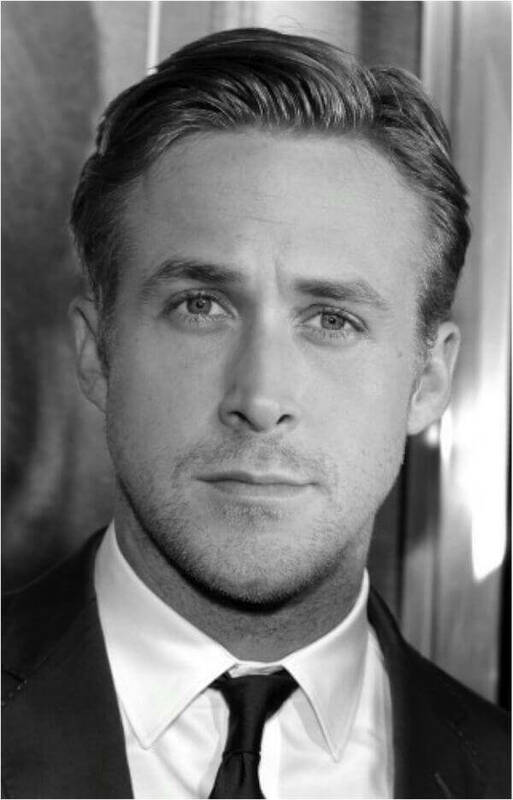 Scientifically speaking, women are subconsciously attracted to men with sharper jaw line because it looks more masculine and stronger. It’s hard to deny what millions of years of evolution have done. Additionally, side parts help balance the hair’s volume and thickness so it won’t look too disheveled and unstructured. Unlike hair lengths, side parts are also very versatile. 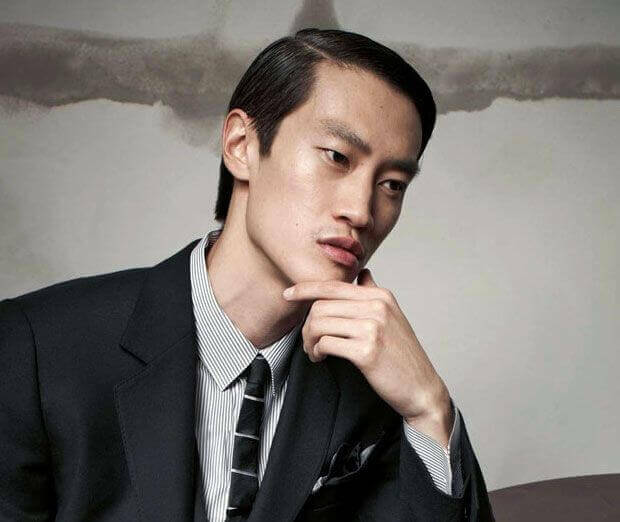 Men can sport side parts in the busy corporate world, academe and sports. Who Should Wear Side Parts? 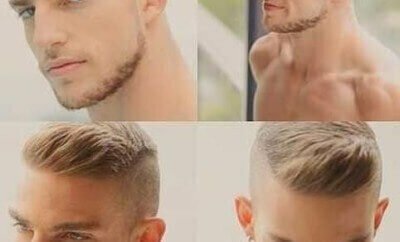 Side part hairstyles for men help neutralize the face shape. Women use their eyebrows, hair and make up to complement their face shape. 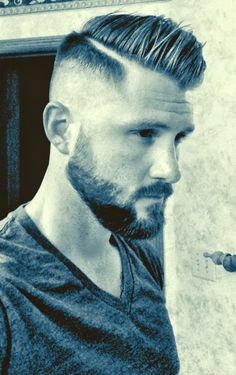 Men are limited to beards, hair and a slight shaping of eyebrows. 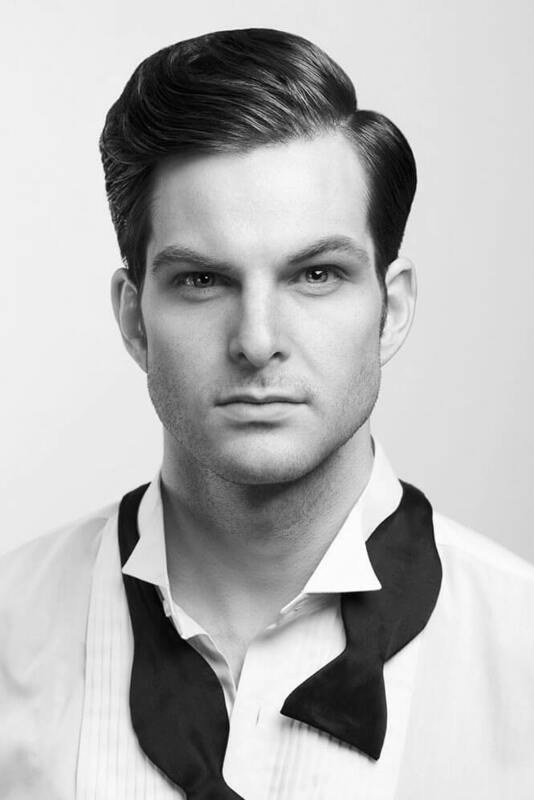 If you have an oblong face shape, side parts can help add an angle to make it look a little bit squared. 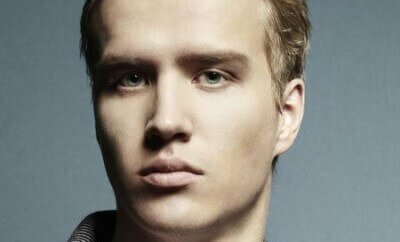 If your face is chubby, side parts will make the jaw line appear stronger and more prominent. Do not worry about looking feminine. 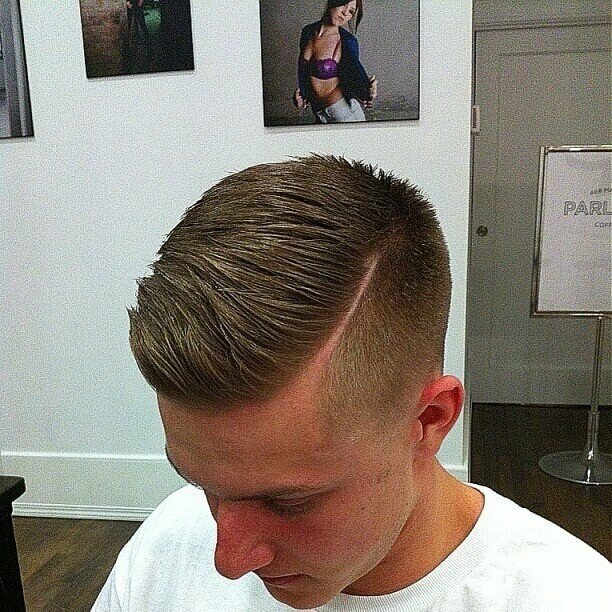 Side parts are socially accepted for women and men’s hairstyles. 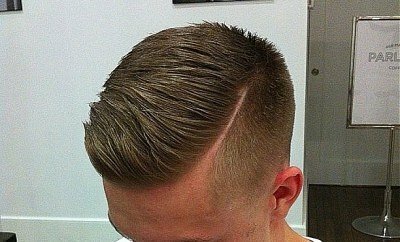 Obviously, if you have a crew cut or buzz cut, a side part is unnecessary. 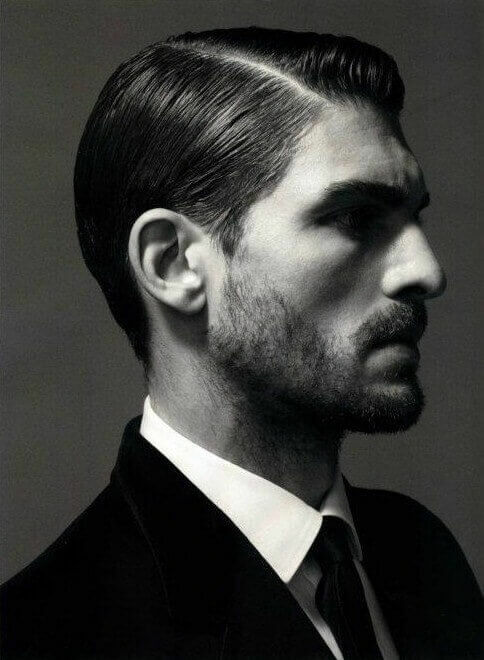 Other than that, side parts are almost necessary to every man’s hairstyle. 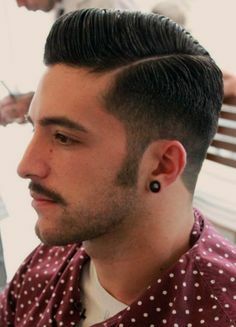 To make the most out of a side part, the hair should be at least medium in length. 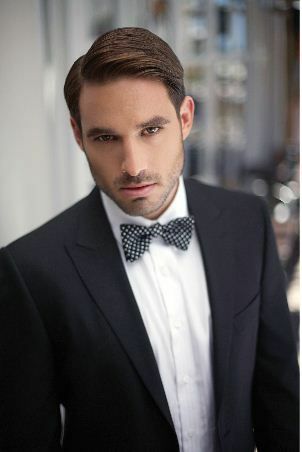 However, take note: when the parted hair is combed too flat, it may create a look that is too formal for everyday wear. 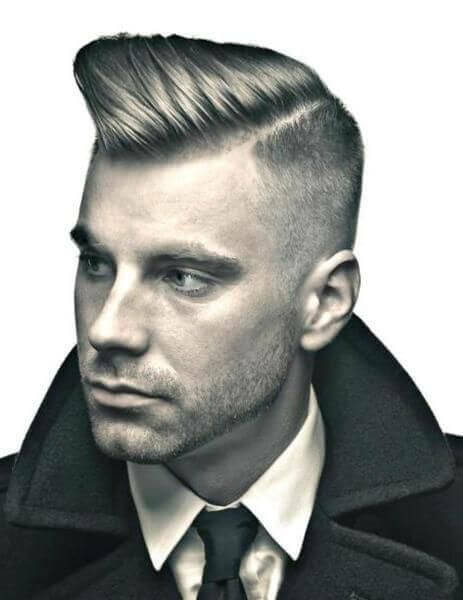 Remember to give the parted hair some volume, layer and texture. 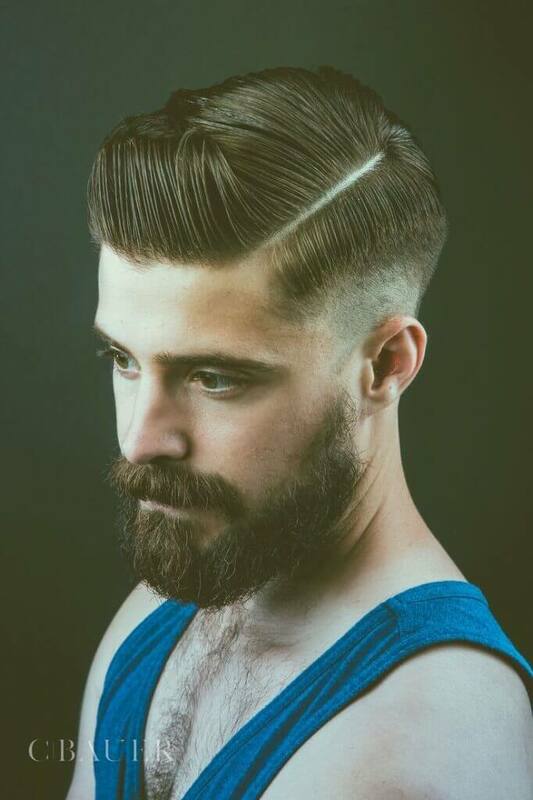 Other than that, side part hairstyles for men are classic. 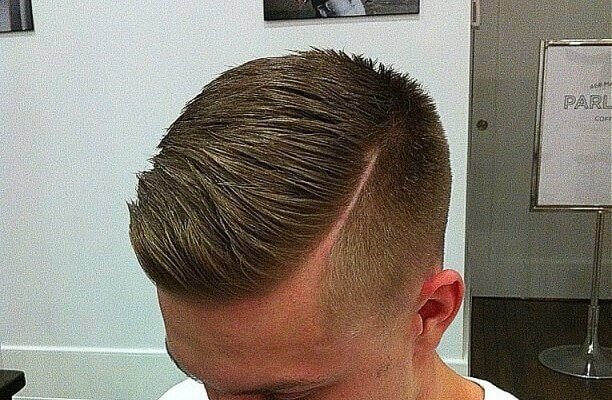 Undercuts and quiffs work well with side parts because the short sides create a contrast with the long hair in the middle. 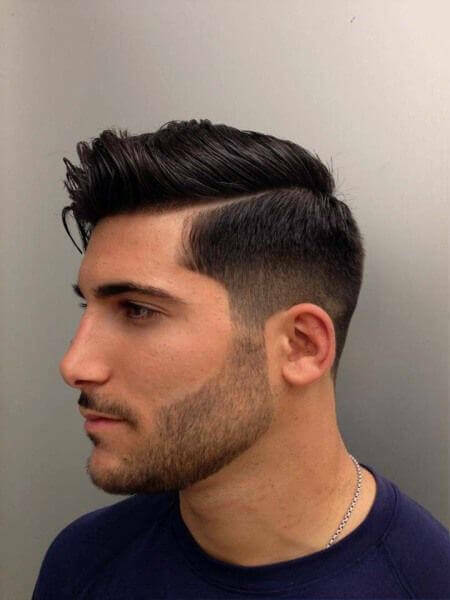 Some men shave a line along the part to make the side part even sharper. 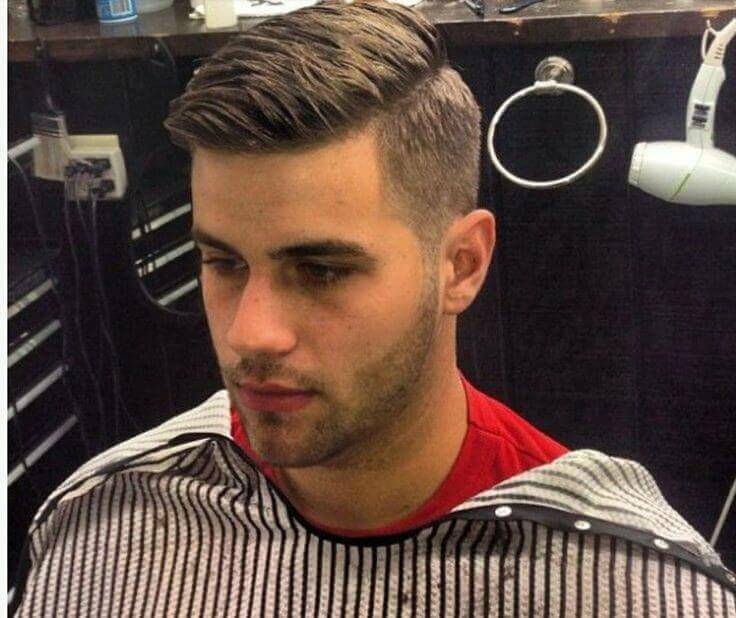 This style is popular among football players. 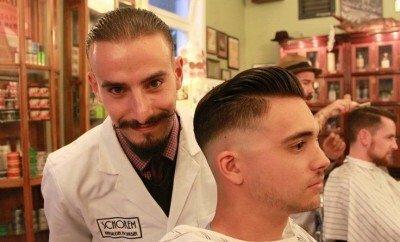 Pompadours, just like undercuts, depend on the contrast made between the short hair on the sides and long hair in the middle. 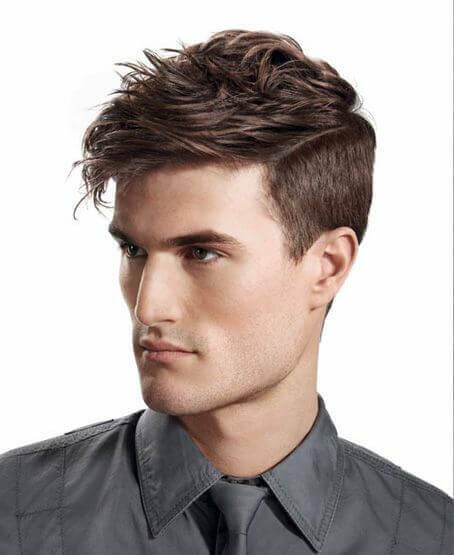 Shaggy hair will look structured and balanced with a side part. Because shaggy hairstyles are long, the bangs will most likely cover one eye. 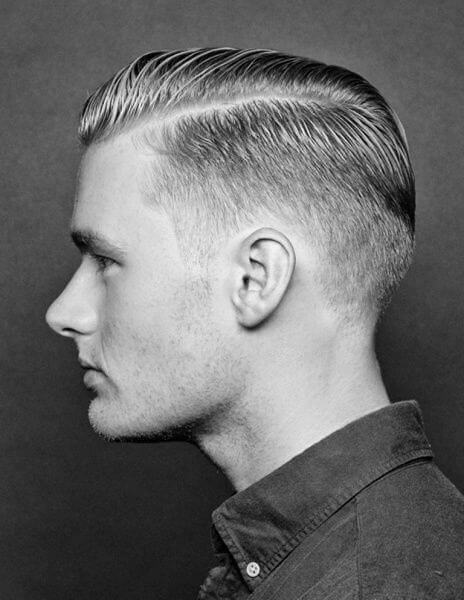 To keep the side part, use pomade or a hair wax, which are malleable compared to hair sprays and hair gels. 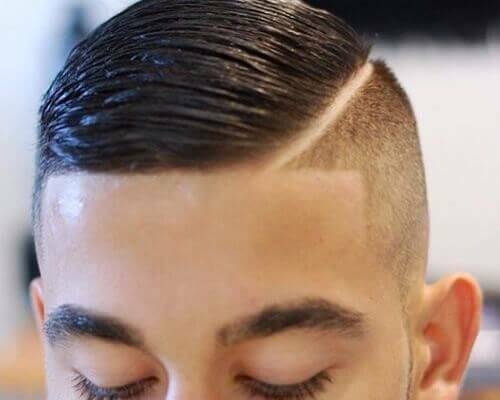 The key to keeping a good side part is to make the hair on one or both sides relatively shorter than the hair on the top. 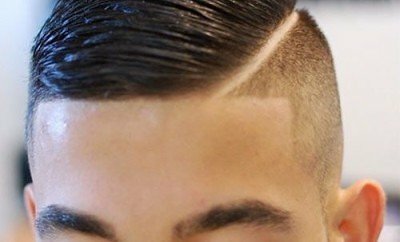 This would prevent the hairs from merging together, thus blurring the side part. 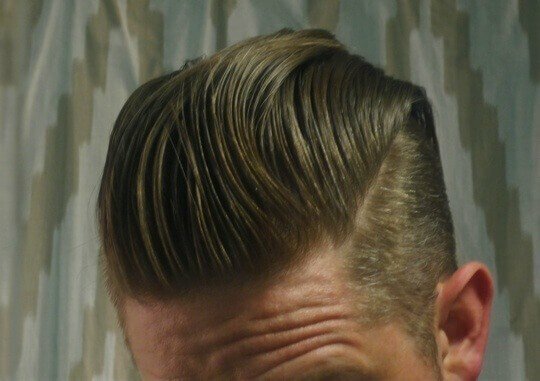 It is also helpful to use hair pomade, hair waxes and gels to hold a side part. Remember not to use too much, you don’t want your hair to be as hard as a helmet. Focus the hair shaping product on the bangs and side part. 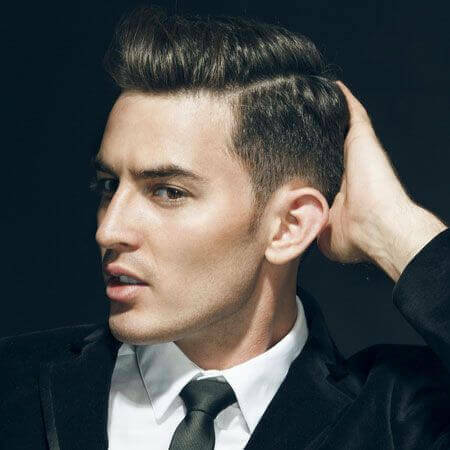 If you wish not to use a hair gel, use a hair spray instead, which will keep your hair in shape without too much gloss.